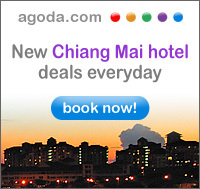 This post I would like to bring you to a very beautiful hotel in my hometown, Chiangmai. 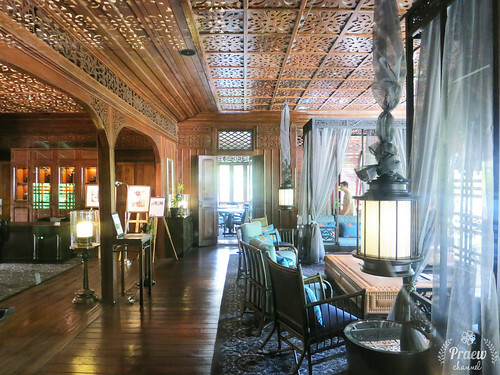 I have heard from many of my friends that this hotel is a very beautiful modern oriental style hotel. So, my sisters and I were not hesitate to check this hotel out when we had a free afternoon. 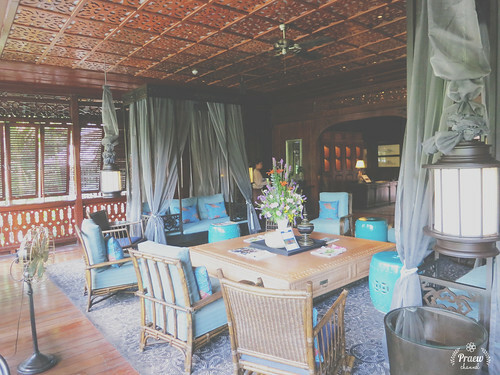 This hotel is called 137 Pillars House as it has the original 19th century teak wood building filled with history which named 137 Pillars House. The landscape of this hotel is very impressive. The landscape team of this property definitely did a wonderful job preserving the existing lady palm and mimosa trees. Those trees are so beautiful. Those trees together with the heritage building create the feeling of the orient 40 years ago. You might remember that I just posted an outfit post that all the photos were taken during this hotel visit. I took so many photos when we were there. I just want to post all of the photos. It was very hard to to choose which to share with you. Let's take a journey with me! 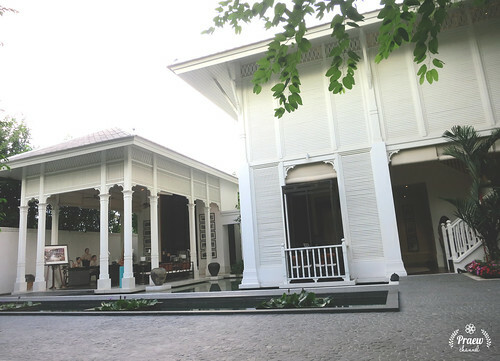 After entering the hotel, you will find the colonial style lobby area which is very inviting. 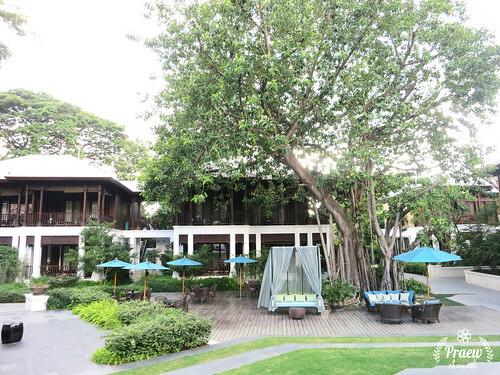 The beautiful garden surrounded with guest rooms and all facilities. 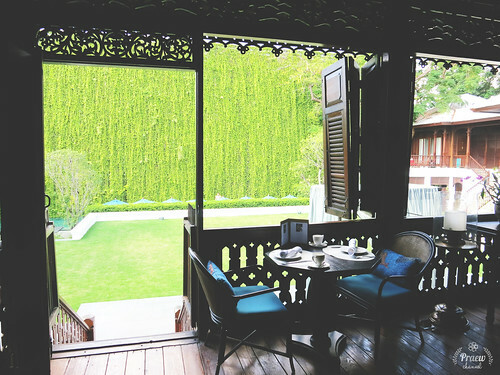 The view from the Parlor Lounge overlooking the greenery wall next to the pool. 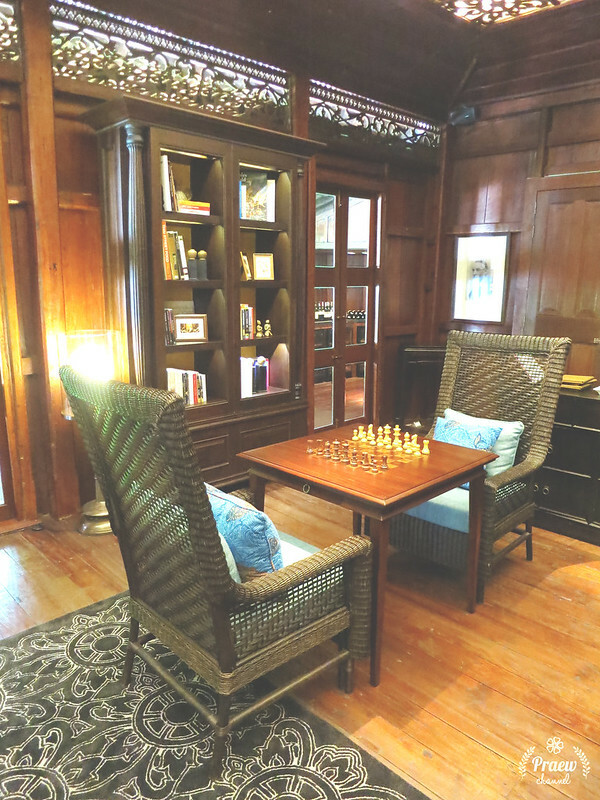 This is part of the Parlor Lounge. Although the color of the decor of this room is quite dark, there are lots of windows that let the natural light into the room. That day were quite hot so we chose to sit in the library bar which has air-conditioned instead. 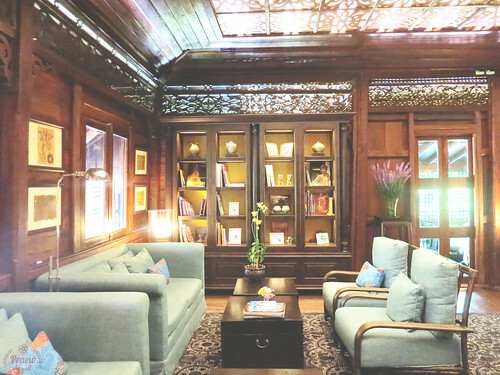 This is another part of the Parlor Lounge. I fell in love with is elegant but cozy corner in the Library Bar (or Jack Bein's Bar). Normally they serve afternoon tea at the Parlor Lounge. 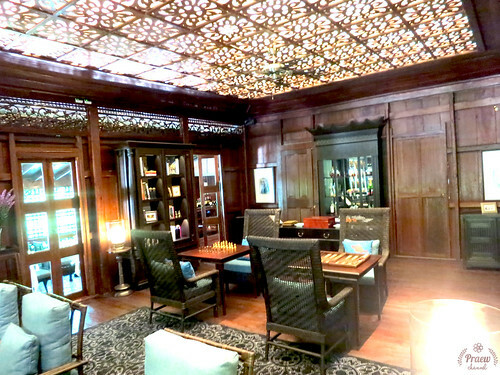 However, we had afternoon tea in this Library bar . which located next to the Parlor Lounge. We spent about an hour having tea catching up with my sisters. There were no other guests in that room so we kinda had the whole room for ourselves which was really nice. This is the beautiful centerpiece on the table where we had afternoon tea. 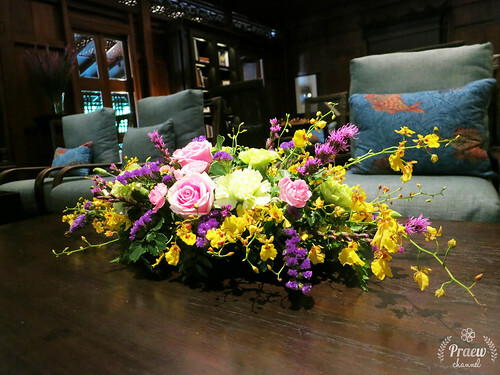 This fresh flower centerpiece freshen up the the room wonderfully. The other half of Jack Bein's Bar is the chess corner. After having the afternoon tea, my sisters and I relax and enjoy the atmosphere on the daybed in the garden. This wall is such a beautiful backdrop so we couldn't help but took some picture with this wall before heading home. This is one of my sisters, Ploen. 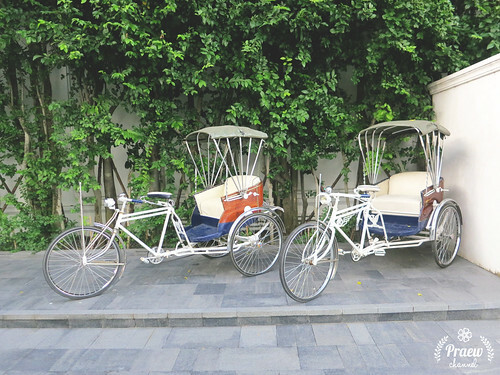 Before heading back home, I just noticed that there were the hotel's tricycles parking in the front of the hotel. I love the color combination that they use for those tricycles. Blue, cream and orange wooden color is such an modern but elegant color palette. 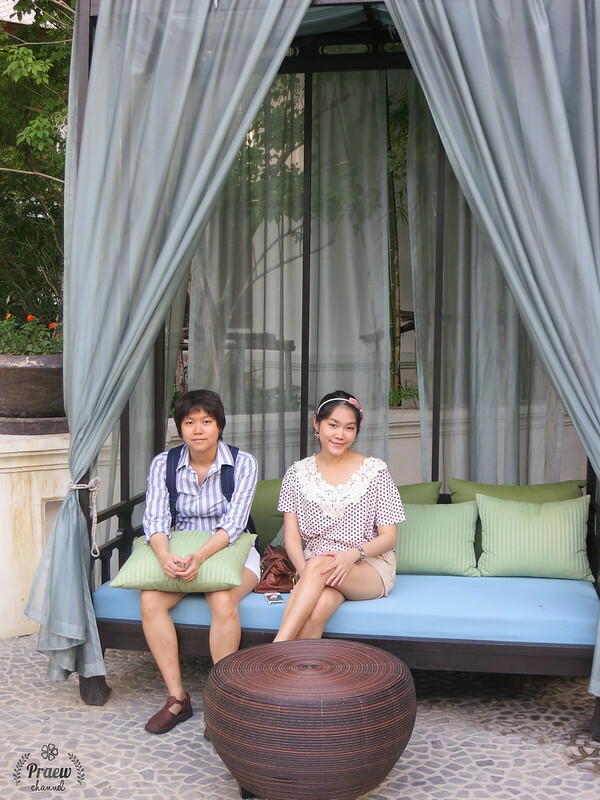 I was so happy that I spent quality time with my sisters at this beautiful hotel. I am still can not believe that there is such a luxurious hotel with so many big trees within the downtown area. I think I will definitely come back when I need to find a quiet place to relax or work. 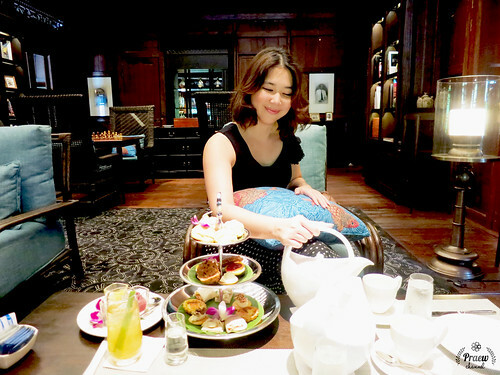 Advance reservation for the afternoon tea is highly recommended. It was a great relaxation for me to be able to book Car hire in Rayong with CarHireThailand, while going to attend an official trip with the foreign clients.